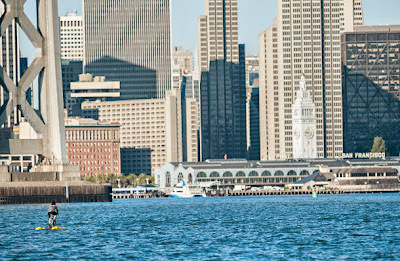 NBGGrabBag: Man Pedals Same Bike To, Across and From San Francisco Bay! 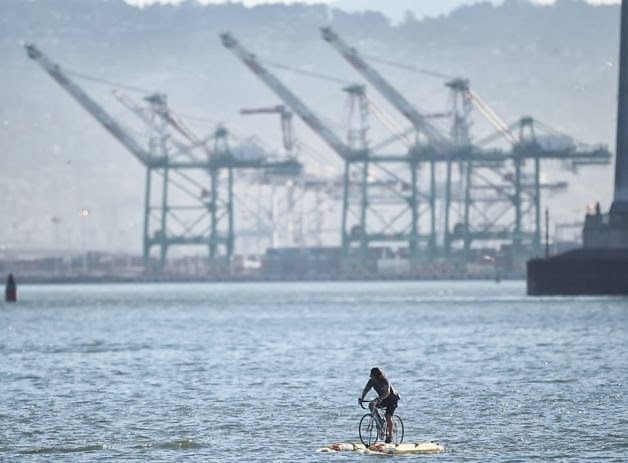 Man Pedals Same Bike To, Across and From San Francisco Bay! Note: With just a small bit of web research, i found out that Shuttle Bike, the Italian company that made the bike accessory Judah Schjller, below, used to pedal across the Bay has been trying to promote its invention here in Europe since 1992. 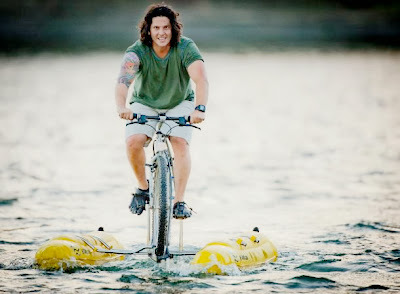 What it took to get this 'new way of biking'" really known about in the USA was a good marketing guy. Enter Judah Schiller, the founder of two San Francisco brand marketing companies. Aiko and Saatchi & Saatchi). A tip of the hit to him for knowing how to spin the half baked Bay Bridge bike path to get publicity for both a water bike lane and for his ad agency!! at the Ferry Building in San Francisco! I love it. I wish Thomas Stevens and I would have had that for our Transcontinental Rides - starting at the Golden Gate Park beach and going to Boston. Thomas took the ferry in 1884. I took the (traffic packed) Bay Bridge in 2000.